Thank you so very much for yesterday. Your work was absolutely brilliant and it made our day perfect. Here’s a testimonial which was received this week from Eleni & Ben. I was their toastmaster at their wedding. Thank you so much for all your help on the wedding day. It ran like clockwork and was so lovely to have you there after seeing you at the wedding shows for so many years. Another thank you was received recently for the wedding of Gary & Anita, this time from Gary’s parents. Thank you so much for making our son Gary and his new wife Anita’s wedding day very special. You kept everything running smoothly and also added some fun elements to the day. This week I was delighted to receive a Facebook ‘thank you’ from Barbara and Rui following their wedding last week. Tom & Gemma kindly posted a thank you on Facebook following their wedding where I was their toastmaster. I was pleased to receive an email from Gary & Anita the day after their wedding in March 2014. We just wanted to say a BIG thank you for being our toastmaster at our wedding in June. You were fantastic and took away all of our worries and stresses! Many of our guests commented on how professional and kind you were. On behalf of our parents and ourselves, thank you! Just a note to say thank you once again for everything you did to help make our wedding day so special. We had a fantastic time and have had so many positive comments from our guests about you on the day. We will definitely be recommending you. These amazing email was received from Chaz & Carmen following their wedding at Missenden Abbey in June. A quick note to say a hearty thank you for doing an absolutely first-class job at our wedding. I must admit that in the naive days of my bachelorhood, ‘toastmaster’ was not a role I’d really been aware of, but I would recommend you my friends as the first person to call whether they had considered a toastmaster or not – our wedding day was undoubtedly an even happier and certainly less stressful day for your presence! The name ‘toastmaster’ would suggest a fellow who organises the toasts and makes the announcements, which you did with impeccable class and looked every inch the part, but you were much, much more than that. From the arrival of my ushers all the way until the first dance you kept the entire day on track from behind-the-scenes as well. You appeared to be everywhere at once at just the right time – tieing cravats, pinning button-holes, discretely producing tissues for greasy fingers and gifts for bridesmaids, ushers and the all-important mother-in-law! I have a memory of you sprinting discretely across the lawn (who would have thought that was possible in a bright red tailcoat..?) to head-off the photographer before he could spirit us away for another half an hour and ruin everyone’s starters! It was also a huge help to us to be able to meet up before the big day itself to ask questions of protocol and what to expect on the day. It helped calm pre-wedding nerves and gave us confidence that everything would be alright on the night. Feel free to quote any parts of this email. This email was received after a Masonic Ladies Festival at The Cambridge Belfry in April from Dave B. (the Festival Secretary). The following are comments that came from past clients who voted for me in the 2013 Wedding Industry Awards. Their comments were supplied in a random order to maintain anonymity. You were very helpful and assisted to make our day what it was – perfect! Garry was our superstar on our wedding day, providing total support in a discreet and professional way. Having met with us before the big day he understood what we wanted which meant that Garry helped our day run seamlessly. He made sure that the bridal party and the guests were well looked after. The best toastmaster in the area…I will always recommend him to friends getting married. Garry deserves more points! He made us feel so relaxed about our day knowing that family and friends, as well as ourselves, would be looked after. 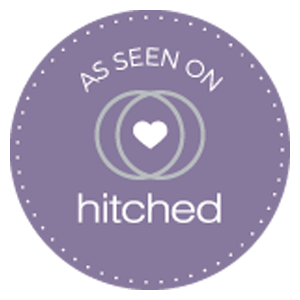 He has a fabulous wealth of knowledge about weddings of all kinds, and he knew our venue and staff exceptionally well. Garry was absolutely brilliant. He was professional and understanding. A family member fell ill during my Photos and he kept everyone calm, acted completely professionally and also kept the other guest away from what was happening so the day would run smoothly. Garry really helped us feel at ease with the day, we didn’t have much previous knowledge about toastmasters so weren’t sure what specifics he would be dealing with. We found out that Garry would basically be doing anything and everything to ensure our special day went perfectly, he was so friendly and welcoming I even had more than a few guests describe him as a legend which is exactly what he was! We’re so thankful to him. He had every bit and bob on him that we might have needed (and did) even down to eyelash glue! We really feel he should win this award as there can’t possibly be a better toastmaster than Garry! Garry was brilliant from start to finish…we met with him a couple of weeks before wedding and he put us all at ease. He was so helpful and the wedding would not have been the same without him! Garry Smith exudes personality, confidence and trustworthiness. He has a warmth about him that puts you at ease straight away. I like the fact that he is meticulous and pays attention to detail and is able to accommodate to help and guide you. He is articulate and very eloquent with words, which was very evident on the day. Our guests were very impressed and enjoyed the day immensely. If our guests enjoyed themselves then so did we. Garry is worth his weight in gold. It was so comforting having him there to ensure that all my hard work in planning paid off – he ensured that everything went as it should. He was great with the guests, so polite, attentive and good humoured. Passion, pride, professionalism and perfect. 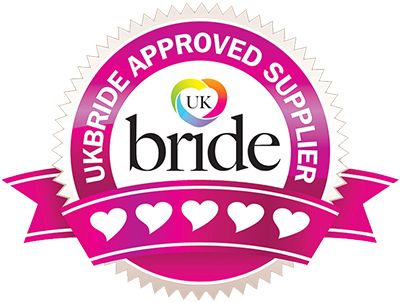 We wanted someone to coordinate our wedding whom had passion for weddings, pride in what they do, a professional attitude and for the end result to be perfect. We got all this and more from Garry. Value for money, priceless. Garry really held the day together. My father was dubious about having a toastmaster, but he really was impressed with everything that Garry did in order to make the day smooth running. Garry had an excellent rapport with all of the guests – playing small games with the little children through to the adults. Garry Smith was a fantastic toastmaster at our wedding. He helped organise our whole day and made it run smoothly. He attended to our every need and was a fantastic help at keeping my nerves at bay. My sister also had Garry as toastmaster at her wedding and he was so good I had to book him for mine. Garry was amazing from start to finish! He made the day extra special. He took care of every detail & lots of our guests commented on how fantastic he was. Garry was excellent. He was very professional, he communicated with us in detail before the wedding. On the day he ensured everything ran smoothly (with guests saying it was the smoothest running wedding they had ever been to). He was always friendly and easy going. He helped ease our worries. Garry was fantastic! One of the best things about our wedding day! He even drove from one side of the country to the other to work on our big day!!! Absolutely brilliant. The day would not have been the same without him. We always liked the idea of having a toastmaster, but equally we wanted someone who would be a bit more involved than just announcing the wedding breakfast. I Googled for toastmasters in the area and his site came up. I had a good feeling about him from his site so dropped him an email. We had a chat a few nights later and then met for a drink with us both. Instantly clicked with Garry and booked him on the spot. The key points as to why we booked him are as follows: A very personable character. Has the right attitude towards both the guests and the venue’s staff. He impressed me at a pre-event meeting at Woburn where I could see the relief in the manager’s eyes when Garry explained how he liked to work. He works WITH the venue, not alongside. He made both theirs and our evening run smoothly. 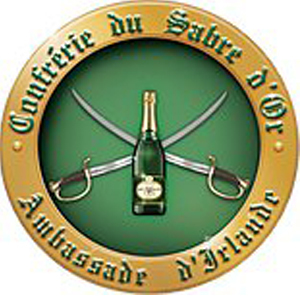 Sabrage! What a fantastic bonus for me as the groom. Great memories of that and our guests loved it. Finally, he described himself as a modern toastmaster. He earned EVERY SINGLE PENNY of his fee on the day as he was with me beforehand and fitted our cravats and button holes. He was there at the church to greet guests. He was there at the drinks reception mingling. He did excellent announcements and then Sabrage after the speeches. He even came up to us late in the evening (we assumed he’d gone) and asked if his services were still required. 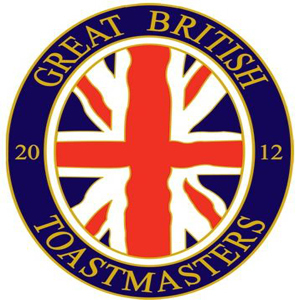 A fantastic toastmaster!